India threatened to fire at least six missiles at Pak, and Islamabad said it would respond with its own missile strikes 'three times over'. New Delhi: The sparring between India and Pakistan last month threatened to spiral out of control and only interventions by US officials, including National Security Advisor John Bolton, headed off a bigger conflict, five sources familiar with the events said, according to news agency Reuters. The way in which tensions suddenly worsened and threatened to trigger a war between the two nations. The exchanges did not get beyond threats, and there was no suggestion that the missiles involved were anything more than conventional weapons, but they created consternation in official circles in Washington, Beijing and London. The simmering dispute erupted into conflict late last month when Indian and Pakistani warplanes engaged in a dogfight over Jammu and Kashmir on Feb 27, a day after a raid by Indian jet fighters on a terrorist camp in Pakistan. Islamabad denied any terrorist camp exists in the area and said the Indian bombs exploded on an empty hillside. In their first such clash since the last war between the two nations in 1971, Pakistan downed an Indian plane and captured its pilot after he ejected in Pakistan-occupied Kashmir. The Indian Air Force said it too had shot down a Pakistani fighter jet. Hours later, videos of the bloodied Indian pilot Wing Commander Abhinandan Varthaman, handcuffed and blindfolded, appeared on social media, identifying himself to Pakistani interrogators, deepening anger in New Delhi. With Prime Minister Narendra Modi facing a general election in April-May, the government was under pressure to respond. That evening, Indian National Security Adviser Ajit Doval spoke over a secure line to the head of Pakistan's Inter Services Intelligence (ISI), Asim Munir, to tell him India was not going to back off its new campaign of "counter-terrorism" even after the pilot's capture, an Indian government source and a Western diplomat with knowledge of the conversations told Reuters in New Delhi. Doval told Munir that India's fight was with the terrorist groups that freely operated from Pakistani soil and it was prepared to escalate, said the government source. 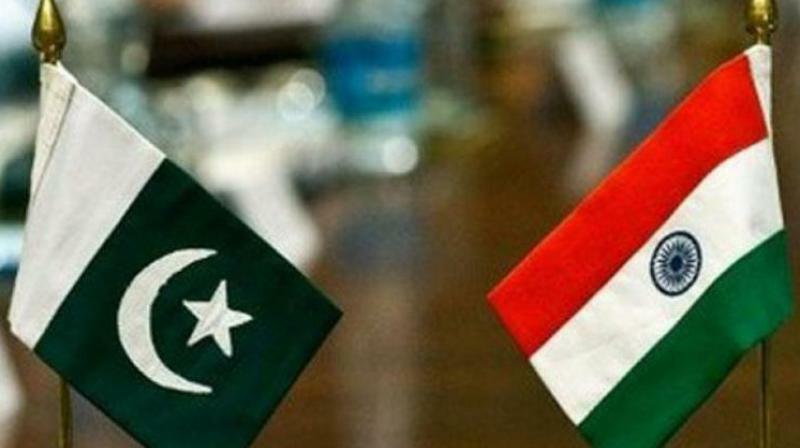 A Pakistani government minister and a Western diplomat in Islamabad separately confirmed a specific Indian threat to use six missiles on targets inside Pakistan. They did not specify who delivered the threat or who received it, but the minister said Indian and Pakistani intelligence agencies "were communicating with each other during the fight, and even now they are communicating with each other". Pakistan said it would counter any Indian missile attacks with many more launches of its own, the minister told Reuters, speaking on condition of anonymity. "We said if you will fire one missile, we will fire three. Whatever India will do, we will respond three times to that," the Pakistani minister said. Doval's office did not respond to a request for comment. Pakistan's military declined to comment and Munir could not be reached for comment. Pakistan's foreign ministry did not respond to a Reuters request for comment. US Indo-Pacific Command Admiral Phil Davidson told reporters in Singapore last week that he had separately been in touch with the Indian navy chief, Sunil Lanba, throughout the crisis. There was no immediate response from Admiral Lanba's office to a question on the nature of the conversations. "We made a lot of effort to get the international community involved in encouraging the two sides to de-escalate the situation because we fully realised how dangerous it was," said a senior Trump administration official. The Pakistani minister said China and the United Arab Emirates also intervened. China's foreign ministry did not respond to requests for comment. The government of the UAE said Abu Dhabi Crown Prince Sheikh Mohammed bin Zayed al-Nahyan held talks with both PM Modi and Pakistan Prime Minister Imran Khan. Later that afternoon, Khan announced in Pakistan's parliament that Wing Commander Varthaman would be released, and he was sent back the next day. "I know, our army stood prepared for retaliation of that attack." The two countries have gone to war three times since both gained independence in 1947, the last time in 1971. The two armies are trading fire along the line of control that separates them in Jammu and Kashmir, but the tensions appear contained for now.